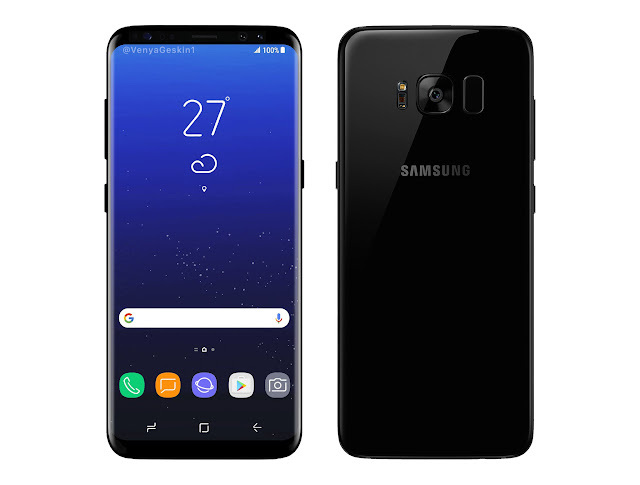 Here is an almost "official" render of the coming Samsung Galaxy S8 (2017). It has the new UI and Icons we have seen in the leaks. It looks great in piano black! I'm not sure I will go for black though, because it will be hard to see where the screen ends and the very thin bezels begins. So it will be hard to know where to put the fingers when holding it.